The members of the Federation of Pontian Associations of Australia gathered in Sydney over the weekend of 27-28 August to discuss and make decisions on plans to develop Pontian Hellenism in the Antipodes. 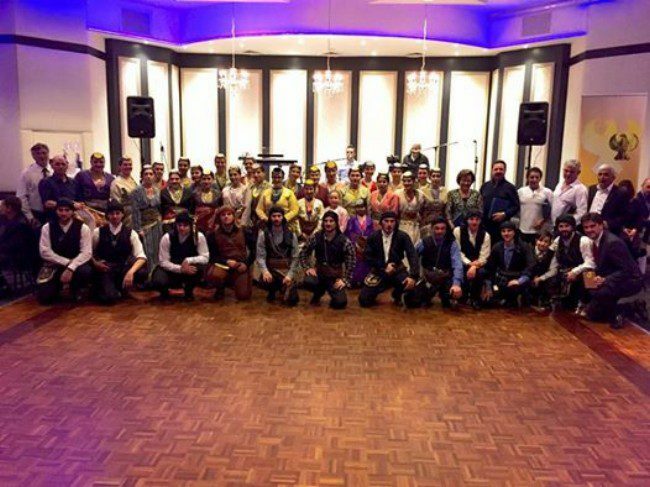 Pontiaki Estia and Akrites of Pontos, along with the Pontic Foundation of Australia Panayia Soumela from Melbourne, the Pontian Brotherhood of South Australia from Adelaide, the Greek Pontian Association ‘Diogenes’ from Wollongong, as well as the host of the conference, the Pontian Brotherhood of NSW ‘Pontoxeniteas’, gathered to elect their new presidency and celebrate. Panagia Soumela Whittlesea also attended the conference as observers. By common opinion the very successful immediate past president of the federation, Peter Stefanidis (Akrites Melbourne) thanked all the member-associations for their excellent cooperation over the last two years, and wished the new presidency “all the best”. Peter Papoulidis (representing ‘Diogenes’ of Wollongong) is the new president and Stathis Katsidis (Pontian Brotherhood of South Australia) has been appointed vice-president. Beyond business and the election of the new leadership, the conference left some unique memories, including the impromptu rehearsal of three dance groups in the forecourt of Sydney’s iconic Opera House, beside the city’s harbour, as well as the three groups (Pontoxeniteas Sydney, Pyrrhic Cultural Association Adelaide and Akrites Melbourne) honouring their ancestors by performing as one at the annual dinner-dance of the Pontoxeniteas Brotherhood for the great feast-day of Panayia Soumela (15 Αugust). Meanwhile, four past presidents of the federation were honoured with Eukleidis Awards for Leadership, named for a great guerrilla fighter of the genocide era (1914-1924), Eukleidis Kourtides. Demetrios Kouklidis (Sydney), Nickolas Chrisostomidis (Wollongong), John Efkarpidis (Canberra) and Harry Tavlaridis (Adelaide) were all presented with personalised glass sculptures. – Komnenos Awards for Supporting the Federation were presented to the Greek Pontian Society of Wollongong ‘Diogenes’, the Canberra Pontian Club, the Pontian Brotherhood of South Australia, the Pontic-Foundation of Australia and New Zealand ‘Panayia Soumela’ and the United Benevolent Pontian Brotherhood of NSW ‘Pontoxeniteas’. On its behalf, Neos Kosmos also wished every success to the federation looking forward to a continued cooperation.